Why is the Cox® Table not available with the hy-lo feature? Experience with hy-lo in his early years of having patients in severe pain falling when they got off the table influenced . It is better to have patients practice getting on and off the table in your office/presence as they will have to do this at home getting into bed, etc. Patients are directed to tighten their abdominal and gluteal muscles to stabilize their spines when getting up and down. Decompression is the reduction of intradiscal pressures to relieve pain. Can side posture be done the table? Yes, all sections of the table can be made level to accommodate other techniques. Sitting for short periods of time if you need may be ok. Your back will guide you in this regard, but know that sitting increases intradiscal pressures which may increase pain. If you must sit, do so for short periods of time and take a break to stand up and walk around every 15 to 30 minutes. I learned Cox® Technic in school. I would like to just have a hands-on refresher. What is the best choice? The Cox® Technic Hands-on Workshops, offered by private clinicians who are certified Cox® Technic chiropractic physicians, are great for just hands-on practice. The instructors will work with you to hone your application skills and discuss clinical incorporation of the technique. Some even have CE hours available! Click here for more information on Hand-On Workshops. Keep in mind that coming to a Part I, II or III or Honors Course after having had a course in school will likely enhance your clinical outcomes with Cox Technic. Check the calendar for up-coming courses. I just want to learn a little bit about Cox® Technic. How can I do that? Am I exempt from Part I? What is the Cox® Technic Certification examination? How do I prepare? 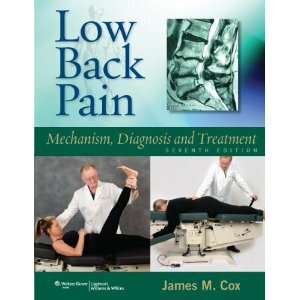 To prepare, review Dr. Cox's Low Back Pain textbook (7th edition) and protocol notes from the seminar. How can I learn more about cervical spine technique? NEW! 4TH EDITION COX® CERVICAL TEXTBOOK is now AVAILABLE! The NEW Certification Course in Cox Cervical Spine Technic started in 2016. Will I get continuing education (CE) credit hours? What is the Cox® Technic certification process? To be certified in Cox® Technic Flexion Distraction and Decompression protocols (lumbar spine), you must meet the requirements for Lumbar Spine Certification via the Part I & one Part II courses and pass the clinical and practical certification exam (only offered at Part II). To be certified in Cox® Technic Flexion Distraction and Decompression protocols (cervical spine), you must meet the requirements for Cervical Spine Certification (to be called Part III starting 2018) and pass the associated clinical and practical certification exam. Where is Cox® Technic Certification Course offered? Is the Part II offered anywhere else? The Cox® Technic Flexion Distraction and Decompression Certification Course (18 hrs CE) Part II is offered only in Fort Wayne, IN. The dates are on the schedule page along with the Part I course (12 hrs CE). If you want to attend ONLY the Part II course, it starts on Friday at 1pm and ends Sunday at 11am. To be Certified, you must take the exam at Part II, which takes place on Saturday. Part I starts at 9am Thursday. Being certified in Cox® Technic Flexion Distraction and Decompression protocols affords the chiropractic physician benefits for him/herself, the patient, the profession, the business and the community. Confidence in caring for the most severe as well as most routine low back patients. The certified doctor won’t fear the antalgic sciatic patient. Access and permission to use specially developed marketing materials. A certified doctor seal on your Cox Technic Complete website. An included backlinking premium page in the referral directory. What CPT CODE is used to bill for Cox Technic flexion distraction and decompression adjusting? Cox® Technic is chiropractic spinal manipulation which is easily recognized as the 98940 series of codes depending on the number of regions treated....98941, 98942. The American Chiropractic Association (ACA) coding and billing guidelines state this as well, 'that flexion-distraction is spinal manipulation' and coded as such. IF THE DOCTOR is using a newer model of the Cox® Table (7 or 8)...the 97012 UNASSISTED TRACTION code could be used since the newer tables can be programmed to automatically axially distract a patient for a period of time. Such billing would be for a separate session of unassisted traction following or in advance of the spinal manipulation using Cox Technic protocols. Can I have Dr. Cox or someone give me a SECOND OPINION or CONSULTATION on a case? Does INSURANCE cover Cox Technic?